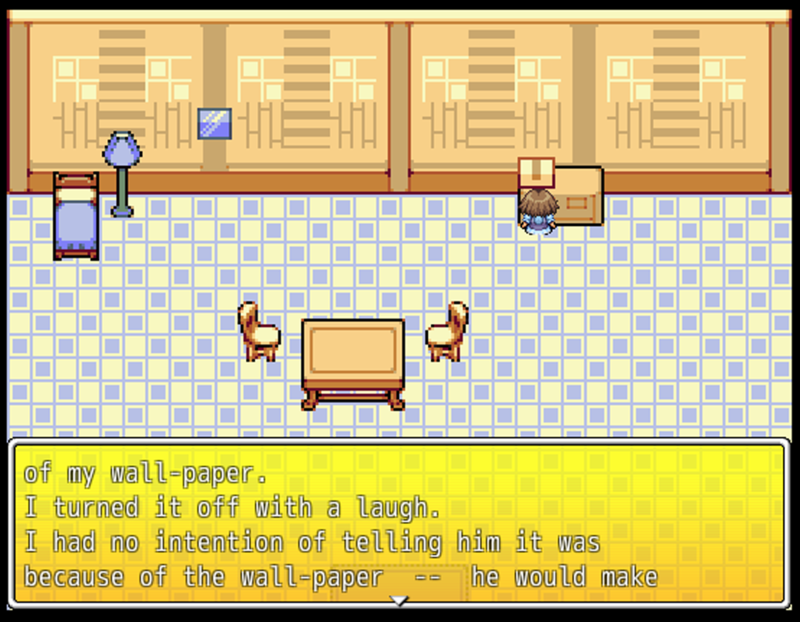 This game is an interpretation of Charlotte Perkins Gilman's "The Yellow Wallpaper." 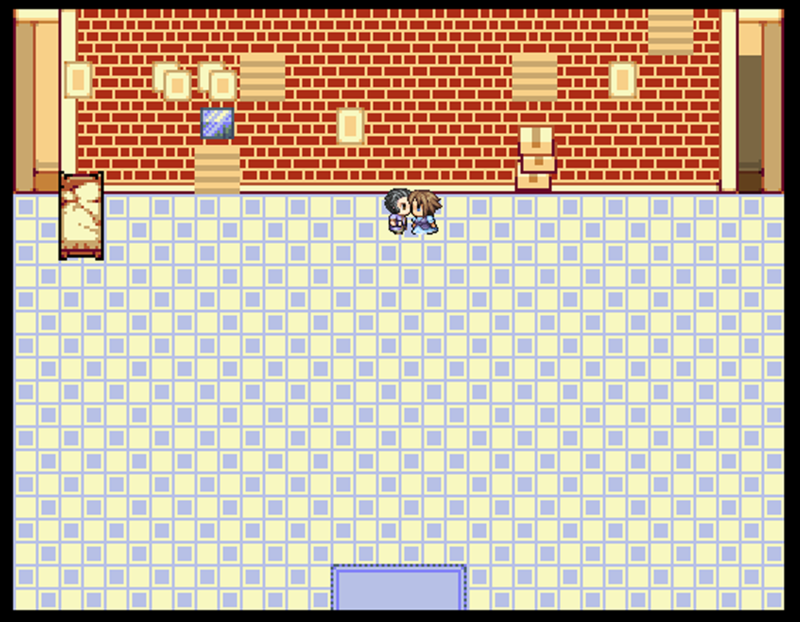 It was made in RPG Maker, using RPG Maker's art and sound assets. 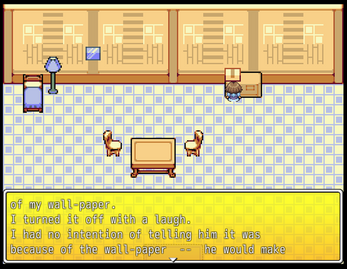 The text is mostly taken from the short story with some interpretations to fit a game rather than a book. I created this game for the class The Social Construct of Reality. The assignment was to write an essay or create an art piece based off of one of the novels we read. Space Bar is to interact. Explore the room in each scene. Interact with anything and everything (this includes the wall and in a few cases, the floor). 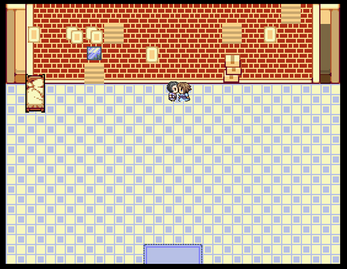 When you are done exploring the room, interact with the box on the table to write a diary entry for the day. Clicking on the box will move you to the next scene, so only click on it when you are done exploring the scene. This game is meant to be played in one sitting. It is highly recommended that you do not exit and come back to it. This game is intended to have the volume be audible but quite. Use the title screen music to test the volume level. To desk means to title screen. Notice: This game only plays on Windows Computers. Download the file and extract the data. Once it finishes extracting, open up the folder. Click on the Dragonhead-icon application called Game to run the program.